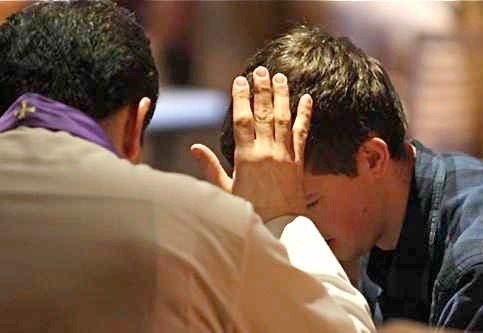 On Thursday, March 15, 2017, with the help of several guest priests, we celebrated the Sacrament of Reconciliation at our Parish Lenten Penitential Celebration. 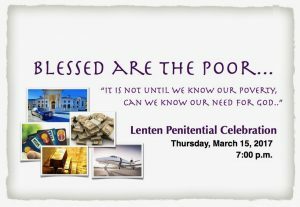 Blessed are the poor… “it is not until we know our poverty, can we know our need for God..” Though we may not be materially poor, an even greater poverty is present among us. One that is much harder to name and even harder to claim. In this Lenten Celebration of the Sacrament of Reconciliation, we will seek to name our poverty in order to name our God.